Luke is going to Krakow soon and we all went out to Pravda the other night to see him off. Some photos on my flickr page. (Sorry about all the flash photography kids, but its pretty dark in there, even at 400 iso). 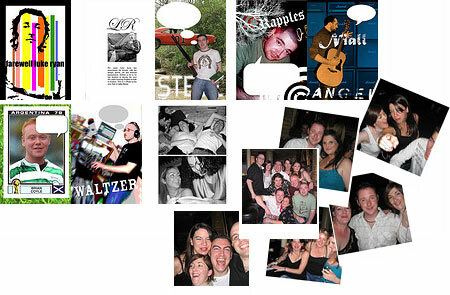 I made him an eight-page going away card, all the pages are up on the flickr too. Warning: Contains gratuitous graphic explanations!